The name “Mortadella” is said to derive from the Latin “farcimen myrtatum”, which describes a cooked product particularly enjoyed by the Romans, based on pork meat flavored with myrtle berries and ground in a mortar bowl. The Bologna typical designation goes back to 1661, the year in which Cardinal Farnese published a public notice defining the production of this preserved meat and certain sections formed the basis of the current production regulations. From the late Renaissance period through subsequent eras, literary and historical traces and references associated with this product become ever more numerous. 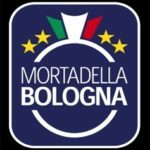 Mortadella Bologna PGI is today produced under strict regulations in an area which encompasses various regions in central and northern Italy. 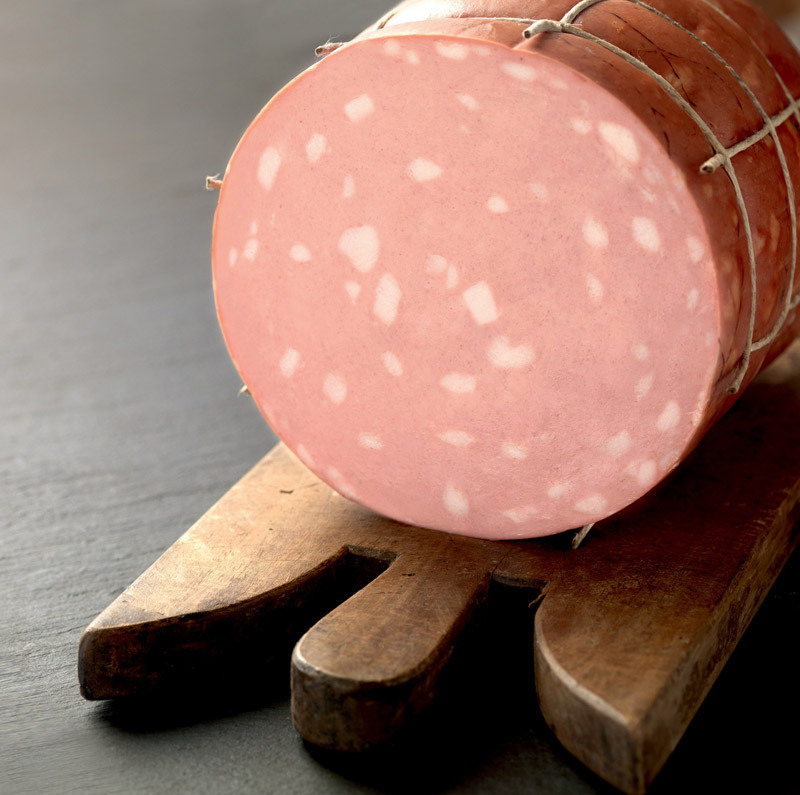 Mortadella Bologna PGI is made from a mixture of selected and finely ground pork cuts to which is added fat lardons from the throat area, considered to be the best. Salt and natural flavors are then added then the mixture is filled with natural casings. The most important and delicate part is the “cooking” in special ovens where the air is brought to the required temperature by indirect contact with steam. Mortadella is packaged in cylindrical or ovoid form, in small, medium and very super sizes: the latter can weight more than 100 Kg. Savoury and well-balanced flavor thanks to the presence of the lard that gives more sweetness. Traditionally, it is eaten thinly sliced and garnished with oil, lemon juice and pepper. It is served with salads, bread, fruit and fresh cheeses. A film came out in 1971 by Mario Monicelli called “La mortadella”. A star of the fi lm, as well as the famous Mortadella, was Sophia Loren as a poor Neapolitan, who went to New York to meet her boyfriend. She is stopped at the airport because of a Mortadella she was carrying, a product prohibited by the Americans from being brought into the country. 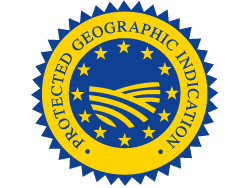 PGI awarded EU Recognition under EC Regulation No. 1549 of 18.07.1998, ECOJ No. L.202 of 17.07.1998.